Teamwork is a common term used in the workplace. In fact, in many workplaces it is the only term that is used time and time again and for good reason. Whilst many of us may believe we are capable of working just as effectively on our own than within a team environment, in the majority of cases, it is true that an individual will perform better when nourished by a team. Teamwork allows the individual to expand on their own skills by learning from others as well as gives them the opportunity to share their existing skills with other members of the team. The overall goal of teamwork is a positive work environment where people are working collaboratively to achieve a common goal – a group of people sharing and learning from one another. Teamwork generally helps to achieve the common objective in less time. When a group of people with complementary skills mutually cooperate to accomplish goals, they will complete the work faster than otherwise would be possible. Promoting teamwork in the workplace is often recommended as it allows for an enhancement of skills amongst team members. There are a number of people in a team and knowingly or unknowingly, team members will continue to learn from each other’s knowledge and thereby enhance their own knowledge, skills and capabilities. Using teams most definitely allows more scope for creativity. Since there is more interaction going around than there would be if individuals were working on their own, creative ideas tend to evolve. Often bits of advice from colleagues may help a team member to come up with far more new ideas, than he/she would if they had to go about solving a problem all by themselves. When people work in a team, they have to communicate with each other. As mentioned above, it is with the help of communication that ideas come into fruition. Not only can enhanced communication result in creativity but importantly, it also reduces or eliminates the likelihood of miscommunication or misunderstanding within the workplace. Team members interact on a continuous basis for the duration of a task. In the process, employees develop friendships, a sense of unity and become committed to the accomplishment of the team’s objectives. This kind of working atmosphere brings together employees in the most fruitful manner. 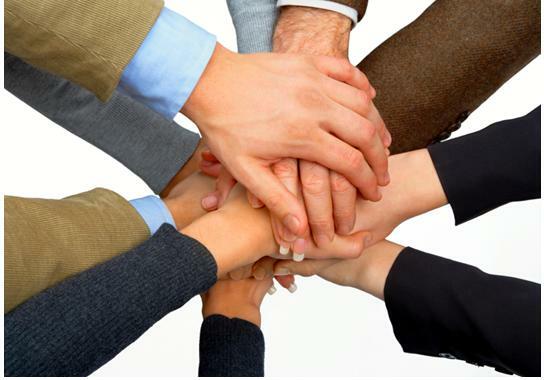 Since a team is committed towards a common goal, all the members of the team are delegated a chunk of work. This ensures all the members of the team work towards the common goal and not only are a few members burdened with the responsibility of completing the work. A team which ensures that the workload is shared equally across its members is perhaps one of the best examples of teamwork being put to use. Here in DCP we spend significant amounts of our time working with teams to enhance their performance in all of these areas. We use our knowledge of personality and what makes people tick to enhance awareness in teams on an individual and group basis. We use the highest quality personality tools to aid you in the process of learning more about the individual personalities at play in your team and how they combine to really enhance your teams’ performance as a whole.